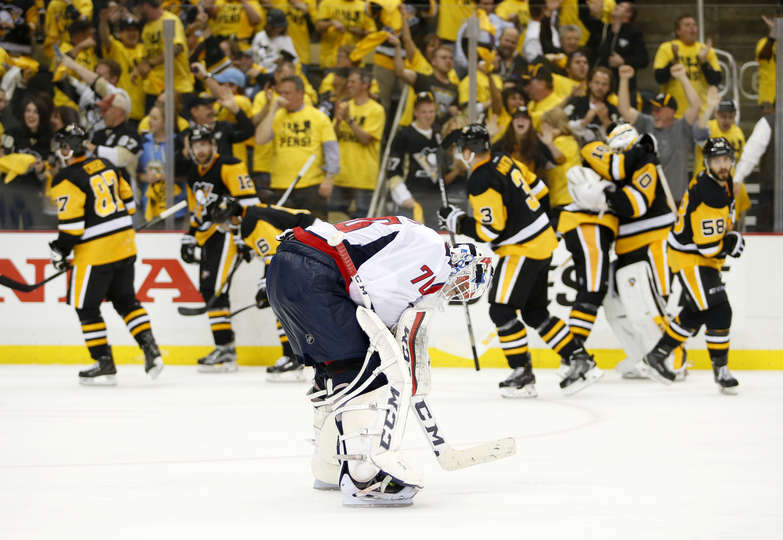 The Washington Capitals got two third-period goals but couldn’t find the equalizer and dropped Game 3 of their Eastern Conference Semifinal to the Pittsburgh Penguins, 3-2, before a capacity crowd decked out in yellow t-shirts at Consol Energy Center. Marcus Johansson — yes, Marcus Johansson — led a three-goal comeback for the Washington Capitals, only to see Sidney Crosby take a long head-man pass in overtime to beat Braden Holtby and lift the Pittsburgh Penguins over the Caps 4-3 on Thursday at a noticeably divided Verizon Center. 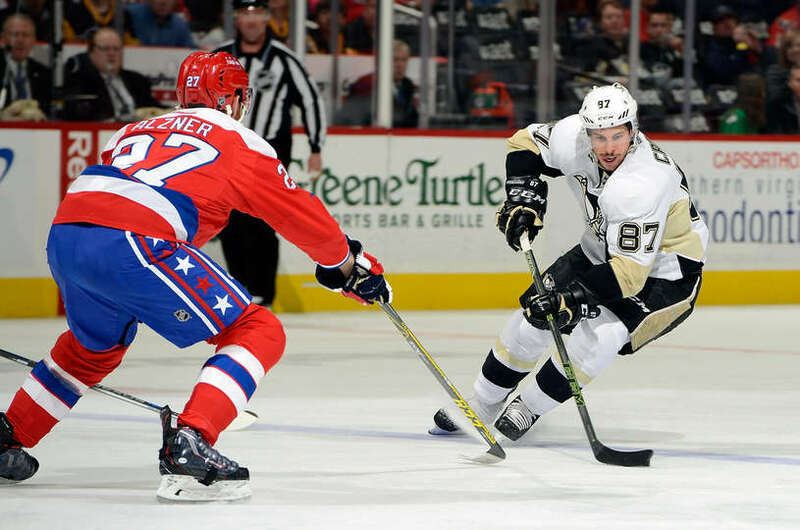 Pittsburgh won its eighth in a row and locked up second place in the division win the win. 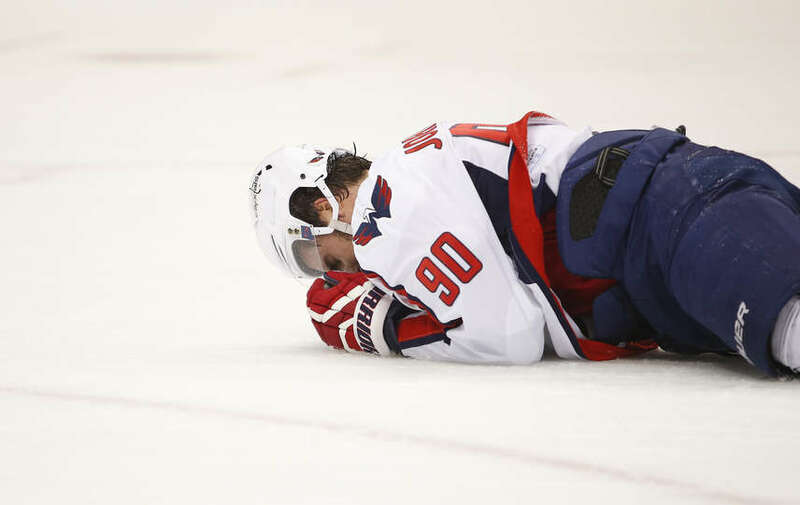 The Caps (55-17-8) needed the late comeback because once again they came out complacent, suffered defensive breakdowns and received sometimes nonchalant goaltending. 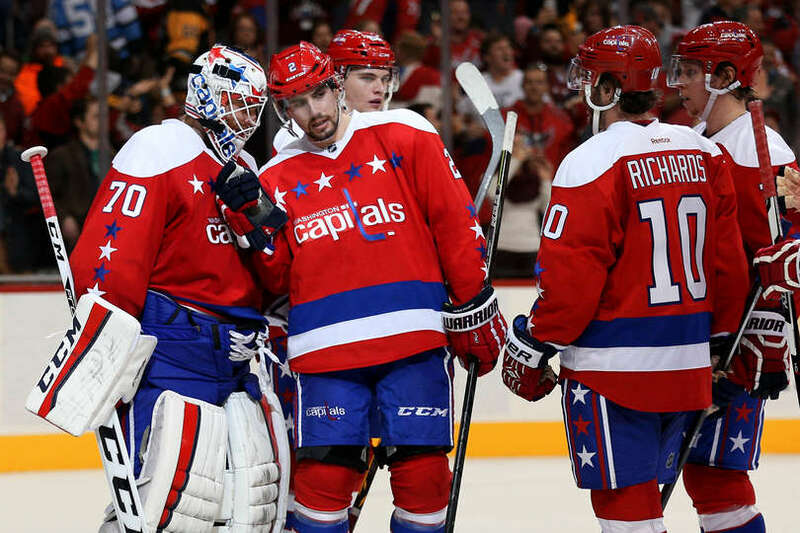 As the Washington Capitals inch closer to a playoff berth, it’s time to start looking ahead at possible playoff matchups. Though the Caps have only five games left on their schedule, there are still a handful of teams they can meet in the first round. Here’s a look at all the teams the Caps could face and how they match up against them. How they could meet in the playoffs: The Rangers win the Metropolitan division and the Caps finish in a wild card spot. The standings would then dictate which division winner would play which wild card team. Why they can beat the Caps: The Rangers made it to the Stanley Cup Finals last season and are even better this year ranking in the top three in the NHL in both goals scored and goals allowed per game. They are incredibly fast and incredibly deep. When Keith Yandle is on your third defensive pair, you do not have many holes on your roster. While the Caps boast the league’s leading goal-scorer in Alex Ovechkin, the Rangers boast the second leading scorer in Rick Nash. Why the Caps can beat them: Henrik Lundqvist has only played once since Feb. 2 and has only a few games to get back into form. Even though Cam Talbot has played well in relief, there is no question who the team’s top netminder is. If he’s not back to form by the start of the playoffs, that’s a major blow. Chances the Caps win the series: Slim. Not only are the Rangers the best team in the Eastern Conference, but they are also the worst matchup for the Caps. The Caps have no answer for the Rangers’ speed and the defensive pairing of Ryan McDonagh and Dan Girardi have been a nightmare for Ovechkin in the past. With secondary scoring a major weakness for the Caps, it’s hard to figure out just how the Caps will score against Lundqvist and a defensive pair capable of shutting down Ovechkin. If you think Sunday’s win over the Rangers was a hopeful sign, keep in mind that the Caps were dominated by the Rangers in their first two meetings this season and for the first two periods on Sunday. The Rangers could have easily blown that game wide open, but missed several open opportunities in which they had Holtby beat. In a best of seven series, the Caps’ effort on Sunday would not be good enough to win four of those seven games. How they could meet in the playoffs: The Caps finish second or third in the division and the Penguins fall to a wild card spot. Why they can beat the Caps: John Tavares is quickly becoming one of the most dynamic offensive players in the league helping the Islanders score the fourth most 5-on-5 goals this season. For all their current struggles, at one time the Islanders were far and away the best team in the Metropolitan Division. Jaroslav Halak in net is a wild card. He has been good not great this season, but every Caps fan knows how good he is capable of being in the playoffs. He carried a worse Montreal team all the way to the conference finals in 2010, he could certainly help this Islanders team go just as far. Why the Caps can beat them: The Islanders have been reeling with seven losses in their last nine games. They are also relatively inexperienced and rank 21st in the NHL in goals against per game. Chances the Caps win the series: High. It is always good for a team to get hot at the right time, but the Islanders have been fading down the stretch. They have gone from being the division leader to a tie with Pittsburgh for second place and trailing the Rangers by a wide margin. This will not be a confident group going into the postseason. How they could meet in the playoffs: The Caps finish second or third in the division and the Islanders fall to a wild card spot. 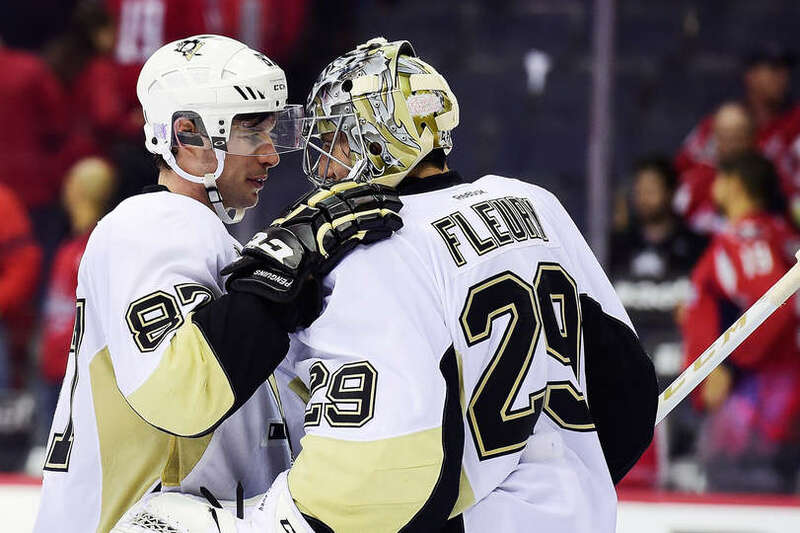 Why they can beat the Caps: The Caps may have won the first three meetings this season, but the Penguins finally seemed to figure things out in their final matchup with a 4-3 win that was not as close as the score indicates. 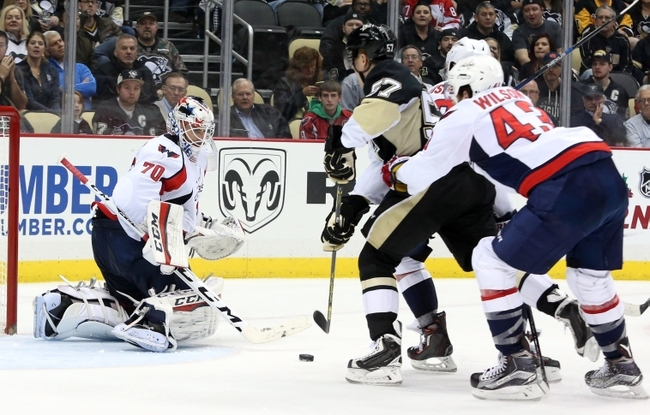 After failing to get any traffic at all in front of Braden Holtby, the Penguins were all over the Caps netminder and the crease. It certainly looked as if they had found the formula for beating the Caps in that fourth game. Why the Caps can beat them: The Caps have dominated the season series, winning three of their four games in commanding fashion. 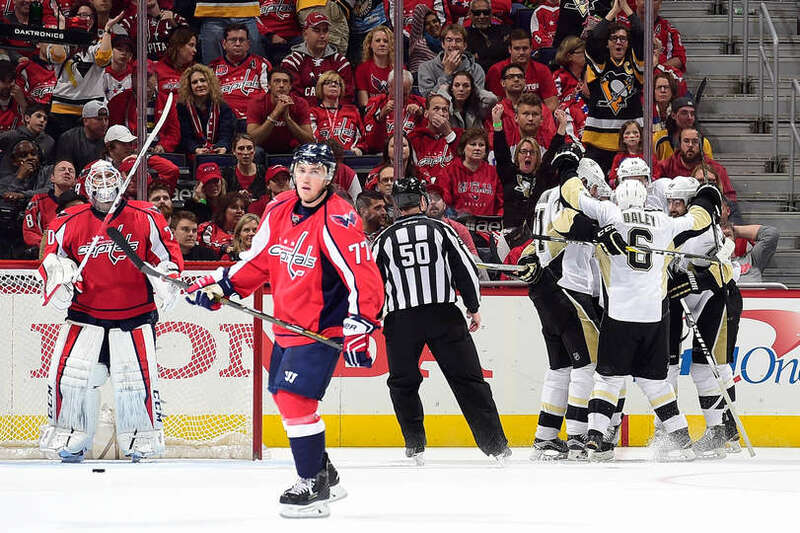 In their first three games, the Caps beat the Penguins by a score of 10-1. 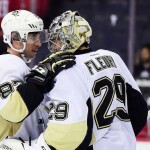 The Penguins just cannot stay healthy this season. They got back Evgeni Malkin and Patric Hornqvist on Saturday just to lose Kris Letang to a concussion. Chances the Caps win the series: 50/50. Two of the Caps best games this season were their first two wins against Pittsburgh in which they completely dominated. It’s hard to have much faith in Marc-Andre Fleury who is rapidly becoming Jose Theodore — great in the regular season, lousy in the playoffs. Secondary scoring won’t be an issue if Ovechkin scores at the rate he has against Pittsburgh so far this year with four goals and one assist in four games. The Penguins don’t have the defense to shut him down. 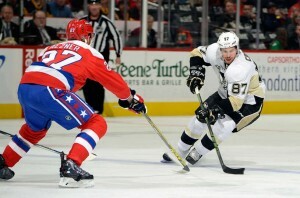 Having said all of that, it’s the Penguins and they always seem to find a way to beat the Caps in the playoffs. 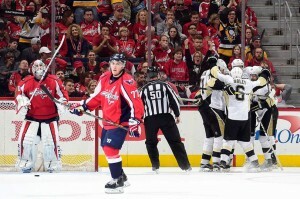 Pittsburgh played poorly in their first three games against the Caps and they know it. When they finally get pressure on the net, they came out on top. Their gameplan would be to drive the crease hard and play physically against Holtby. That should scare Caps fans considering backup goaltending is a weakness. That’s not to say that the Penguins would intentionally try to hurt Holtby, but they certainly would not let him leave this series without a few bumps and bruises. How they could meet in the playoffs: Montreal wins the Atlantic Division, Caps earn a wild card spot. The standings would then dictate which division winner plays which wild card team. Why they can beat the Caps: Two words, Carey Price. The likely league MVP has been unreal this year and leads the NHL in GAA (1.88) and save percentage (.937) among goalies with at least 20 starts this season. Those are some crazy numbers. Why the Caps can beat them: Take away Price and Montreal is actually a pretty mediocre team. Led by Max Pacioretty, the Canadiens are 23rd in the NHL in goals per game. With all due respect to Pacioretty, Montreal lacks an offensive superstar on their roster who is capable of taking over a series. Chances the Caps win the series: Slim. Can Price actually carry Montreal past the Caps in a best of seven series? Absolutely give how he has been playing. A mediocre Montreal team with a hot goalie? The Capitals know how lethal that combination can be and this time the Canadiens will have home ice advantage. With P.K. Subban on defense, Montreal will sell out on stopping Ovechkin and the Caps do not have enough other weapons to beat Price. Why they can beat the Caps: Good luck stopping the Lightning’s offense, the best in the NHL this season. Not only do they have Steven Stamkos, but they have three other players who also have passed the 20-goal mark (the Caps only have one as Troy Brouwer has exactly 20 goals) and have five players with over 50 points (the Caps have two). Most importantly, it’s not an offense that is dependent on the power play as they have scored the most 5-on-5 goals in the NHL this season. Why the Caps can beat them: Ben Bishop may be a towering presence in net, but with a paltry .914 save percentage this season he has failed to establish himself as the dominating goalie a team needs for a deep playoff run. After getting swept in the playoffs last season by Montreal, you have to wonder how high confidence will be in Tampa this year. Chances the Caps win the series: Slight edge to Tampa Bay. There will be plenty of scoring to go around in this one. The Caps defense won’t be able to bottle up Stamkos and Co. while Ovechkin will get his points against the unproven Bishop. The problem for the Caps is that they are absolutely awful when they do not score first. The only team with fewer wins than the Caps this season after conceding the first goal is Buffalo. They are a completely different team when they are down early, a position they could easily find themselves in often against an offense as lethal as Tampa’s. How confident are you that the Caps can score first in four out of seven games against the best offense in the NHL? FIRST STAR: Alex Ovechkin. Fully engaged Ovi in this one. A goal, which gave the Caps late life, five shots on goal, three blocked, five more missed and eight hits. SECOND STAR: Jason Chimera. Two assists, though took a bad penalty during a string of bad penalties in the second period. THIRD STAR: Troy Brouwer. Goal and an assist. 7 of 11 in the dot. Goat of the game: Tom Wilson. Hate to kick a guy when he’s down, but there’s no place in the game for instigating contact during warmups. Total bush league move by a guy whose luster is starting to come off.